With all the press about the death of PCs we’ve seen over the last several years, you would be excused for thinking that new desktop PC shipments had essentially stopped. But in an ironic case of what’s old is new again, desktop PCs are not only not dead, they’re seeing a rebirth of sorts. To be clear, I’m not predicting a massive resurgence, but they’re actually holding their own and even growing in several different sub segments of the market. Traditional consumer desktop PCs have taken a big hit, with most people who opt for a new PC choosing a notebook. However, there are still a lot of existing desktop PCs in use and, if they’re anything like the main desktop in my household, still doing some important tasks. Our primary family digital photo library (now at 50,000+ photos), for example, still lives on our desktop (as well as in the cloud), as do our Quicken finances, TurboTax taxes, and other critical files. When my son comes home from college, it’s also the machine he often gravitates to for gaming. In fact, gaming is one of the critical drivers for renewed vigor in the desktop market. With the explosive growth of eSports, Twitch and computer gaming overall, there’s very strong interest in desktop-based gaming rigs. Of course, unlike the early days of computer gaming, you no longer have to own a desktop to get high quality graphics, but for fixed installations, many people still prefer them. Throw in innovative new small form factor desktops like Intel’s Skull Canyon NUC and you have people who may not have considered desktops giving them a serious second look. In the commercial world, desktop PCs are far from dead. Believe it or not, desktops still make up more than 50% of all PCs purchased for business. That number is expected to eventually fall below half, but in many business environments, a fixed, large computing device is still very much an asset. After all, most people in businesses don’t travel and don’t need a notebook. As a result, commercial PC desktop volume is expected to increase in the latter years of the decade as businesses start completing their Windows 10 migrations and upgrading their existing PCs. VR headsets from the likes of Oculus and HTC have the most demanding compute and graphics requirements of any consumer-focused application, and they need the raw horsepower that you can now only get from a desktop. The most compelling and newest demand for desktop PCs, however, is being driven by virtual reality. VR headsets from the likes of Oculus and HTC have the most demanding compute and graphics requirements of any consumer-focused application, and they need the raw horsepower that you can now only get from a desktop. If you want the latest iterations of the powerhouse graphics cards from AMD (the Fiji-based Radeon Pro Duo) and Nvidia (the Pascal-based GTX 1080), for example, you have to buy a desktop. As a result, we’re seeing long-time desktop PC brands like Dell-owned Alienware, as well as Dell itself, developing complete new lines of desktop PCs specifically for VR. 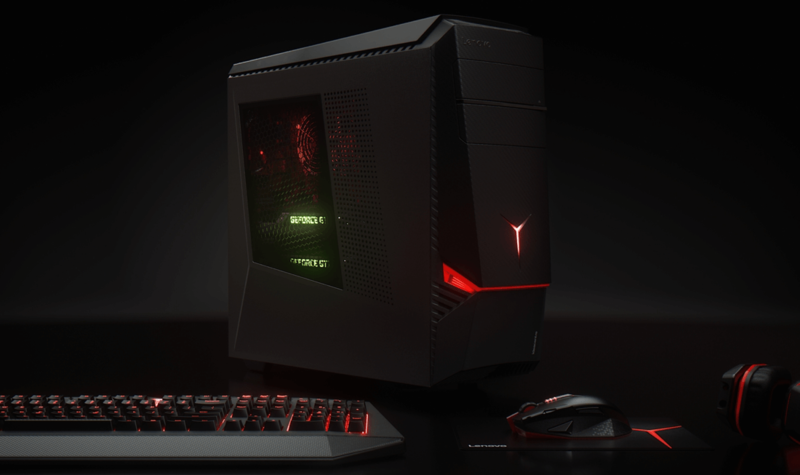 For now, Alienware (which is celebrating it’s 20-year anniversary in October, by the way) is offering specialized configurations of its X51 small form factor desktop, but it’s not hard to imagine them offering a whole new line of VR-optimized desktops in the future. In addition, Dell has informed me (exclusively) that they will be offering a new high-power and expandable XPS desktop this fall that’s specifically designed for VR applications. Desktop PCs will never again reach the high-level stature that they once held, but that doesn’t mean they’re going to go away either. They still provide the best experience for a wide variety of consumer and business computing applications, and for that reason, will continue to hold an important place among technology solutions for some time to come.